ALONG WITH the somewhat better-known Viktor Shklovsky and Roman Jakobson, the writer and literary theorist Yuri Tynianov was a central figure of the revolutionary-era school of literary and cultural criticism that came to be known as Russian Formalism. The Formalists were contemporaries and advocates of Futurist poets like Vladimir Mayakovsky and Velimir Khlebnikov, as well as early Soviet film pioneers like Sergei Eisenstein and Dziga Vertov. In keeping with the mood of avant-garde experimentation that held sway in the early years of Soviet rule, Formalist ideas about literature and art were radical and stark, especially in comparison with the mystical impressionism of pre-revolutionary Russian writers and critics. Like Shklovsky, Jakobson, and their colleague Boris Eikhenbaum, Tynianov was first and foremost a scholar of literature, but the creative explosions of the new Soviet film industry demanded the Formalists’ attention. Tynianov, like Shklovsky, dove in as both a theorist and practitioner; he began penning screenplays and working directly with actors and filmmakers, most notably with the wacky and inventive “Factory of the Eccentric Actor” (FEKS) group. He also wrote a series of articles on film, like the one below, which were published in daily newspapers, and in 1927 contributed to a substantial volume of Formalist essays on cinema, edited by Eikhenbaum. Tynianov’s writings on film are valuable for their insider’s perspective and the sense of palpable, physical immediacy they convey (even as he insists on the fundamentally abstract quality of film as an art form). He applies his formidable skills as a literary theorist to this material, teasing out fascinating parallels between the way words and images can be shaped and altered by their place in a work. 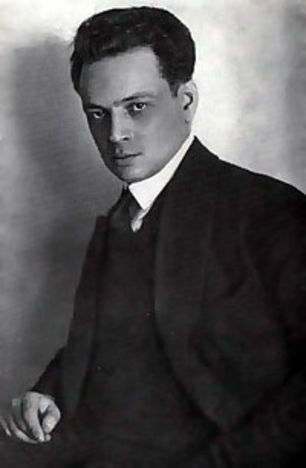 But Tynianov is also unique among the Formalists, in that he argues for film’s essential difference from all other art forms.